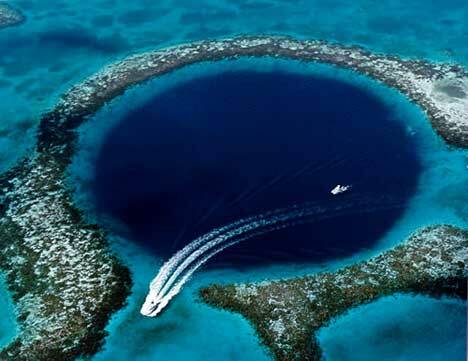 photo of the day: belize’s great blue hole. Things are a little busy on my end, so in the mean time, here is a great photo of The Great Blue Hole in Belize. The Great Blue Hole is a massive underwater sinkhole located just off the coast of Belize, discovered by Jacques Cousteau in the 1970s. According to Wikipedia, Cousteau considered it one of the world’s top ten scuba diving destinations, and thousands of tourists visit each year to dive, boat, and observe the marine life living there. If you’re aquatically-inclined, The Great Blue Hole is an ideal destination. « travel note: petra, jordan.